Albostani was one of the 15 Saudi operatives who landed in Istanbul on October 2, the day when Khashoggi disappeared, according to the Washington Post. The kill squad had arrived in Istanbul with the premeditated intention to kill Khashoggi, Turkish sources have said. 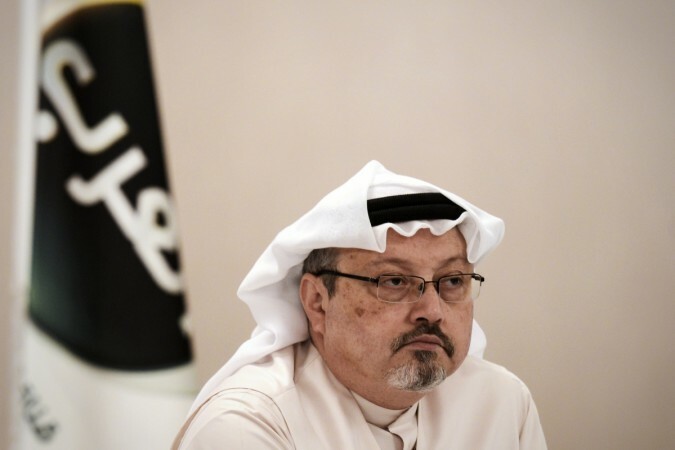 A pro-Turkish government newspaper has revealed that a member of the Saudi Arabian hit squad that was tasked with killing dissident journalist Jamal Khashoggi has died in mysterious circumstance in Saudi Arabia. Meshal Saad M. Albostani, who was thought to be a high-ranking officer in Saudi air force, died in a car crash in Riyadh, Turkish paper Yeni Safak said. Albostani was one of the 12 people identified by the Washington Post from a group of 15 operatives that landed in Istanbul on October 2, the day when Khashoggi disappeared. The kill squad had arrived in Istanbul with the premeditated intention to kill Khashoggi, various media outlets reported citing Turkish government sources. According to the Post, in a Facebook page, a man who looks similar to Albostani had described himself as a lieutenant in the Saudi air force, However, the post was deleted after the disappearance of Khashoggi. The Post has identified 12 of the 15 men through the app and even tried to contact them on the numbers, but could not get in touch with them. Only one suspect, Mohammed Saad H. Alzahrani, is said to have answered his phone, but said he wasn't in Istanbul at the time of Khashoggi's disappearance. Yeni Safak did not give more details about the car crash that killed Albostni. The pro-government Turkish newspaper has been the chief source of much of the reporting that has taken place after the alleged killing of Khashoggi. No media outlet has been able to independently verify the claims by the paper about the death of Albostni. According to the paper, Albostani entered Turkey in the afternoon of the fateful day. There are records that he stayed at the Wyndham Grand Hotel and left the country at 9:46 p.m. on a private jet which belonged to the Sky Prime Aviation company. Meanwhile, it has also been reported that Belgrad Forest in Istanbul was searched on Thursday by investigators looking for the mortal remains of Khashoggi. Multiple reports said earlier this week that Khashoggi was tortured and decapitated inside the Saudi Arabian consulate in Istanbul, the latest reports have said. Earlier US president Donald Trump conceded that he was fairly convinced that Khashoggi had died. The statement came after Secretary of State Mike Pompeo held meetings with the Saudi royals in Riyadh. The alleged US flip-flop in the matter of Khashoggi killing had given more dimensions to the timing of the fund transfer. President Donald Trump had initially sounded alarmed over the alleged Saudi role in the killing of Khashoggi and had warned of serious consequences for the ally if the role was proved. Saudi Arabia hit back against the veiled threat of sanctions, implying that it would not hesitate to use the crude oil supplies as a political and strategic weapon.